You can download the new version of Google Earth. Google has unveiled its new version of its digital atlas, Google Earth 6 , with which enhances the realism of the virtual globe, thanks to the presence of two new features:Street View, 3D trees. Fly anywhere to view satellite imagery, 3D buildings, 3D trees, reliefs,images from Street View, planets and other things. Google Earth 6 fully integrated Street View functionality for users to fly from space to the front door, directly. You can see buildings in 3D modeling, three-dimensional tree species. Already there are a total of 80 million trees of 12 different species. Athens, Berlin, Chicago, New York, San Francisco and Tokyo are among the places where users can find these forests in three dimensions. Through the Google Earth Outreach program, is collaborating with organizations such as Green Belt Movement in Africa, The Amazon Conservation Team Brazil and CONABIO in Mexico to make models of endangered forests. There are three versions of Google Earth 6 available for the PC: Google Earth, Google Earth Pro and Google Earth Enterprise. 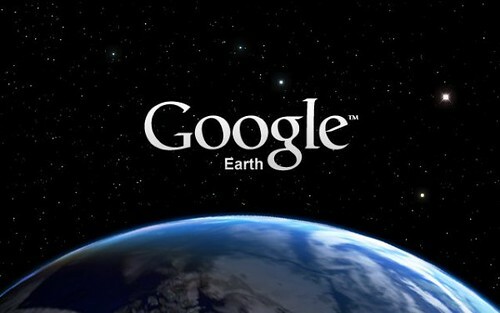 The current Google Earth was created by the company Keyhole, Google bought by an October 27, 2004. Keyhole In May 2005, at the time of payment, renamed Google Earth and jumped into the market. Subsequently have been adding new features like Google Maps, which works as a stray.Another important milestone occurred in August 2007, when Google Earth 4.2 adds Google Sky, a tool to explore the sky and see stars and galaxies. Remember to follow us in En.arquigrafico.com through Twitter and FaceBook or subscribe to our RSS Feed to stay updated on Google Earth 6.